Alchemy Sewing specializes in Custom Embroidery for both commercial and industrial use. We have applied embroidery to most types of materials from clothing apparel to parachutes and most everything in between. We have over 25,000 stock designs to choose from or we can transform your logo or artwork to a custom embroidery design. With over 50 thread colors to choose from, and our custom design skills; we should be able to match your design almost perfectly! 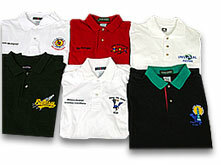 Our experience extends past 10,000 embroidered shirts and hundreds of custom designs. Alchemy Sewing has the most reliable equipment featuring over 30 industrial and graphic sewing machines, plus a state-of-the-art 6 head sewing machine. 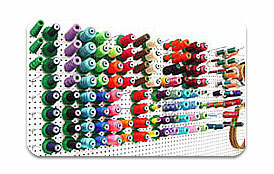 Our machines allow us the capability to embroider almost any type of material. Whether you plan to increase brand awareness, implement company uniforms, create new marketing promotions, or thank customers with a high-end gift, Alchemy Sewing can provide you with the embroidery services you need. 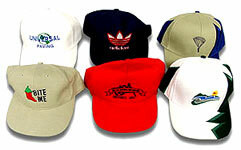 From hats to clothing apparel to parachutes, you name it, and we'll embroider it! Call today for a customized quote!